SEGI Group is a Malaysian based company which has been in operation for over 18 years. SEGI is a group of supply chain companies with a brand new innovative concept, encompassing across trading, logistics, wholesale, and property investment. With a leading business philosophy, and a new innovative concept combined with traditional attributes of “fresh market”, SEGI FRESH has become a pioneer in the industry, introducing a whole new shopping experience for both traders & end users. 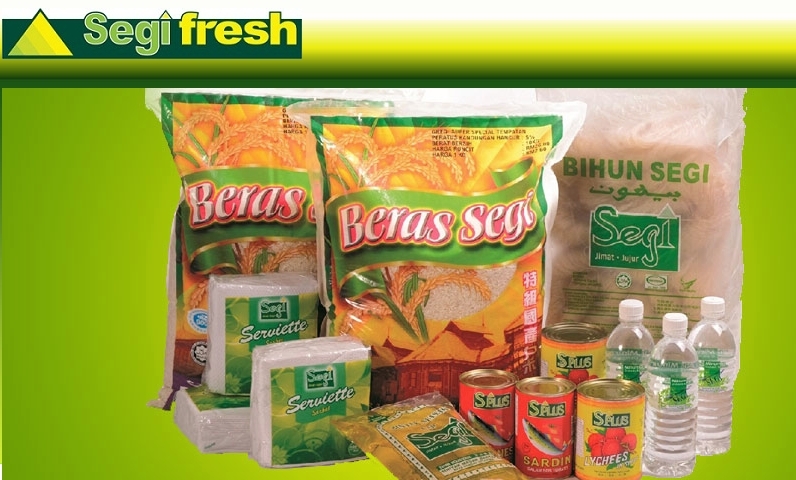 Specializing in retail/wholesale, SEGI FRESH is a ‘Direct Distribution Centre’ which promises FRESH goods with competitive PRICE, CONVENIENCE of shopping with wide VARIETY to cater to customers’ needs, and SERVICE that puts a smile on people’s face. Address: Unit 711 – 713, Block A, Kelana Business Centre, 97, Jalan SS 7/2, Kelana Jaya, 47301 Petaling Jaya, Selangor Darul Ehsan.